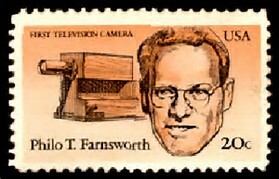 Farnsworth’s commemorative stamp was issued September 21, 1983, twelve years after his death. 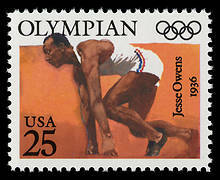 Jesse, who passed away in 1980, received two commemorative stamps–the first in 1990 and the second in 1998. 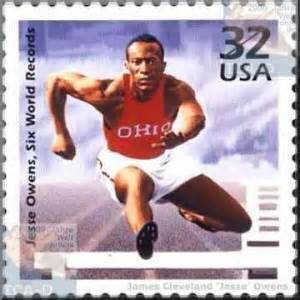 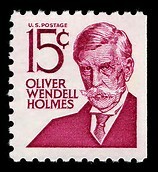 Holmes…Well, Oliver Wednell Holmes, Sr. never had a stamp issued in his honor. 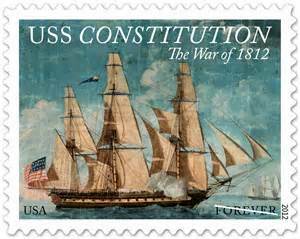 But there was one for his son, and another for the USS Constitution, the ship his poem “Old Ironsides” helped preserve.